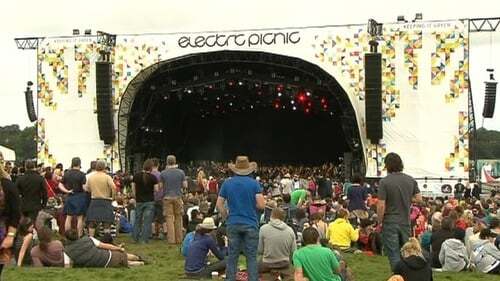 Up to 55,000 people are expected to attend the Electric Picnic arts and music festival over the next three days at Stradbally Hall in Co Laois. Pulitzer Prize-winning rapper Kendrik Lamar and dance groups Massive Attack and The Prodigy will headline the event over the weekend. Irish acts are also well represented with Walking on Cars, Picture This, B*Witched, and The Coronas performing. Organisers said they want to remind festival goers that print-at-home tickets will not be accepted after gardaí this week issued a warning about fake tickets being sold online. They said that people should not buy tickets at the last minute from unauthorised or unknown sources. Traffic is expected to be heavy on the M7 and M8 due to ongoing roadworks. Gardaí are advising people to use public transport or car pool where possible. Meanwhile, there will also be a campsite for Irish speakers at the event for the first time. The Gaeltacht area will celebrate Irish culture, music, and language with Bliain na Gaeilge sa Chollchoill, The Hazel Wood After Dark. Met Éireann forecasts an overall dry weekend with temperatures of between 17-20C. However, some rain or drizzle is expected at Stradbally this evening. Who is the Ukrainian comedian running for president?